Prime Minister K P Sharma Oli has been inviting the international community to increase investment in Nepal. But foreign investment won’t come easily in a country with unaccountable political and bureaucratic leadership and impunity. Though the government claims economic climate is changing positively, international economic environment index shows opposite. So why is Nepal economically dependent state today? Why has Nepal’s economic diplomacy failed? This article will dwell on these two questions. Anthropological and sociological studies by national and international scholars provide a picture of better state of economic and trade affairs of Nepal in the past. Nepal used to be the center for most of the economic and trade transaction in South Asian continent. Wim Van Spengen in his book Tibetan Border Worlds: A Geohistorical Analysis of Trade and Traders argues that Nepal up to 1960s was a viable and a major economic hub for the Trans-Himalayan trade with Tibet and to entire South Asian region. Major Trans-Himalayan Trade route to Tibet ran via Nepal and especially from Kathmandu. Many businessmen and traders from the entire region were settled in Kathmandu and other hilly parts of Nepal and carried out trade with Tibet and India and other South Asian countries. Despite the political upheavals, the trade diplomacy, negotiation and the people-to-people trade contacts were strong. Tibetan Lamas, Thakalis from Thak-Khola and Tukche, Ghales with Tibetan contacts, Bhotias from Walongchung, Humla and Mugu, Sherpas from Namche Bazar, Taralis from Tichurong were the most vibrant economic communities of pre-modern Nepal. The major trade routes that Nepal struggles to open with China today were the customary trade routes to travel and supply goods to Tibet and vice-versa. However, the regional geopolitics of the late 1950s utterly changed the situation. Greater emphasis was laid on politics and regime protection. 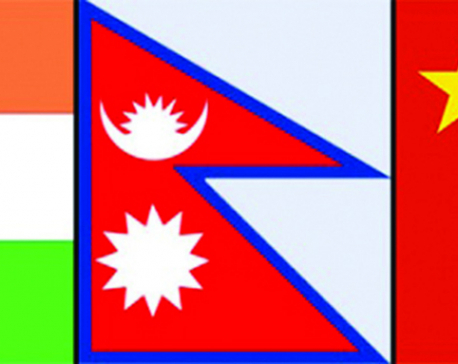 Nepal agreed on border agreement with China in the early 1960s. 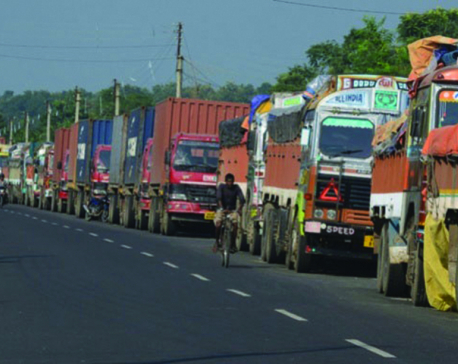 It is argued that Nepal agreed to close all trade routes across the Himalayas. Political elites took border agreement with China as a diplomatic success but Nepal failed to balance politics and economics. Hundreds of border crossings and formal and informal trade routes were closed disconnecting the customary relations of border traders in Tibet, Nepal and India. With only six border crossings, Trans- Himalayan trade with Tibet sharply declined. Nepal became a classic case of ‘pawn’ in the salt politics of the region. 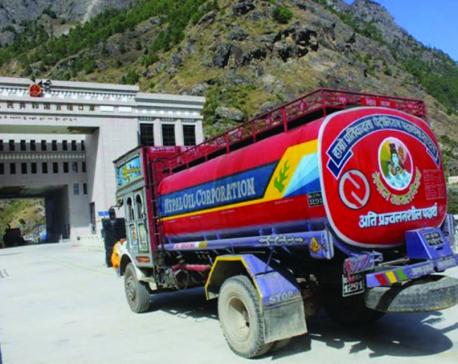 Nepal’s inability to balance trade between South and North led to stop of Tibetan salt coming to Nepal. Nepali hills and plains were flooded with subsidized Indian salt. Even after the dawn of multiparty democracy in 1990, Nepal’s attention was entirely focused on the protection of its sovereignty from the ‘perceived’ threat from the neighbors. This rhetoric dominates political discussions in Kathmandu even today, conveniently overlooking importance of economic diplomacy. As a result Himalayan traders from hill community like Dolpa, Mugu and Mustang are in problems today. Underdevelopment of Karnali and other hill areas can be attributed to state’s failure on economic and trade diplomacy. Nepal’s trade diplomacy further declined after it became the space for international economic players to manipulate the situation here. We have failed on hydro diplomacy, transit diplomacy and investment diplomacy. The economic crisis we face today is the result. Lack of accountability, extreme political and bureaucratic corruption, massive tax evasion and lack of research on economic diplomacy and negotiation are among the reasons for this. Nepal’s leaders, bureaucrats and economic elites need to focus on how to regain that lost status and how to improve economic relations with both India and China. This will help us prevent further damage to our economy and save it from being entirely dependent on one or other neighbor. For this, we need to improve investment climate, free economics from politics and invest on researches. Only then we will be able to attract substantial foreign and domestic investment in Nepal.